MANHATTAN, KANSAS — A research team that includes scientists with Kansas State University's Biosecurity Research Institute has developed a promising Zika virus vaccine. The vaccine, a DNA vaccine, is safer and more effective against Zika virus and could offer more affordable long-term protection, researchers said. "This vaccine is a successful advancement in developing control strategies for Zika virus by creating widespread immunity in susceptible populations," said Stephen Higgs, director of the Biosecurity Research Institute. "One shot of DNA vaccine will offer protection for years at a much lower cost, which is especially beneficial for endemic countries in Latin America and Africa." Higgs is a co-author of the vaccine study, "Rapid development of a DNA vaccine for Zika virus," that appears in the journal Science. Researchers with the National Institutes of Health led the study, which also involves researchers at the Federal University of Rio de Janeiro, Harvard Medical School, Frederick National Laboratory for Cancer Research, Bioqual and the Walter Reed Army Institute of Research. Kansas State University scientists in the College of Veterinary Medicine — including Dana Vanlandingham, assistant professor of virology, and Yan-Jang Huang, postdoctoral fellow in diagnostic medicine and pathobiology — played a critical role in the study by producing and characterizing viral stocks to determine how the DNA vaccine induced immunogenecity and protection. DNA vaccines deliver noninfectious DNA materials to stimulate the immune system to produce viral antigens. The DNA vaccine for Zika virus is more immunogenic and effective than other vaccines because it can create memory responses, which inactivated vaccines with killed viruses fail to produce, Higgs said. The DNA vaccine also is safer because it does not use attenuated viruses to produce viral antigens. Attenuated vaccines contain live microbes, which potentially can cause adverse events or harmful effects. "We anticipate that this vaccine may have long-term memory immune response as other DNA vaccines also have achieved such a goal," Huang said. "The vaccine is a suitable and ideal tool as an emergency response to the current Zika virus outbreak and could build robust herd immunity." The research is critical for the control of Zika virus at the preventive stage and at the population level, Vanlandingham said. The critical next step is to initiate safety and efficacy trials in humans. "The availability of vaccines for Zika virus is more significant than any specific antiviral treatments," Vanlandingham said. "Vaccination normally generates protective immunity that prevents the disease for years in a population at a relatively low cost; whereas, antiviral therapies can only be treating the diseases at a higher cost rather than offer long-term protection." The research received startup funding from the diagnostic medicine and pathobiology department in the College of Veterinary Medicine. The National Institute of Allergy and Infectious Diseases and the Frederick National Laboratory for Cancer Research also provided funding. 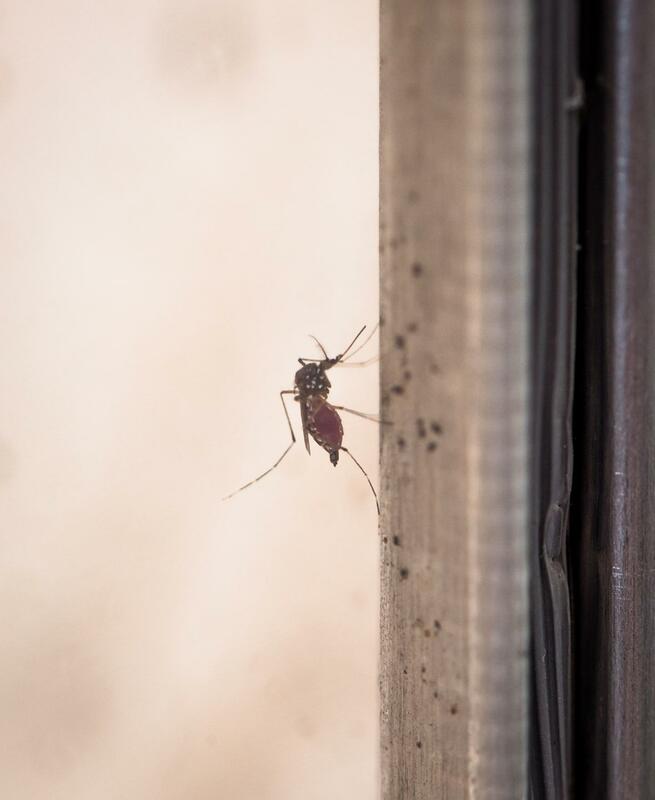 Other Zika virus research at the Biosecurity Research Institute has involved a two-part approach: Researchers are studying mosquitoes to understand how they become infected with Zika virus and researchers are providing the virus to collaborative organizations for further study. Biosecurity Research Institute researchers recently found that Culex mosquitoes do not appear to transmit Zika virus. Collaborative researchers on the Science publication included Kimberly A. Dowd, Sung-Youl Ko, Kaitlyn M. Morabito, Eun Sung Yang, Rebecca S. Pelc, Christina R. DeMaso, David N. Gordon, John Robert Gallagher, Xuejun Chen, John-Paul Todd, Audray Harris, Martha C. Nason, Mario Roederer, Wing-Pui Kong, John R. Mascola, Theodore C. Pierson and Barney S. Graham, all with the National Institute of Allergy and Infectious Diseases at the National Institutes of Health; Leda R. Castilho, National Institute of Allergy and Infectious Diseases at the National Institutes of Health and the Federal University of Rio de Janeiro; Peter Abbink, Michael Boyd, Ramya Nityanandam and Dan H. Barouch, all with Harvard Medical School; Yaroslav Tsybovsky, Frederick National Laboratory for Cancer Research; Hanne Andersen and Mark G. Lewis, both with Bioqual; and Rafael De La Barrera, Kenneth H. Eckels and Richard G. Jarman, all with the Walter Reed Army Institute of Research.